A few months ago I dropped by a meeting of the Chicago Audio Society. The Bamberg Audio Series 2 TMM was playing and sounded quite good. Bamberg’s operations Manager Steve Fay then set up the top-of-the-line Series 5TMW but ran into some technical difficulties that prevented him from playing the 5 TMW (an audio salesman’s nightmare). However, after hearing the quite good Series 2 TMM, I was intrigued by what its big brother would sound like. I contacted Steve and arranged to do a review. The Series 5 is a reference grade full-range 3-way loudspeaker that comes in two pieces – a monitor and matching powered subwoofer. 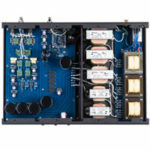 Its intended uses are for audio and/or video systems in typically-sized listening rooms, and for loud, maximum output. The version I received for review had built-in crossovers, which is different from the original version with outboard crossovers, but I’m sure that Bamberg can make the original unit for those looking for that sort of setup. Don’t be intimidated by the idea of separate subwoofers and monitors – the Bamberg Series 5 TMW is an integrated that has been designed to have a seamless handoff between the two speaker modules. I had no difficulty getting a perfectly blended sound from the two pieces in my listening room. I’m not usually much on repeating specifications and features that you can read for yourself on the manufacturer’s website, and I won’t repeat all of them here. However, after my initial listening session I was impressed at what I heard and wanted to find out the features that enabled these speakers to sound as big as they did, and the design rationale behind those features. Bamberg has an excellent section of their website entitled “Interpreting the Technical Data” which gives a very good description of what audio specs mean and why Bamberg chose the features it did. The transducers for the 5 MT monitor are an 18cm woofer (SEAS W18ex-001) and 25mm tweeter (SEAS Millennium). The speakers have nominal impedance of 8 ohms, with an actual range between 7.6 ohms (at 160 Hz) and 4.8 ohms (at 3000 Hz). Sensitivity is 2.83V@1-Meter (full space) 83.0 dB. Note the “full space” part of the spec – you don’t see this in many manufacturers’ sensitivity specs and makes a big difference in measuring real world sensitivity. The monitor was designed to optimize the bass response for integration with Bamberg’s subwoofers and to work seamlessly with an HT receiver’s 80Hz high-pass filter. It is a sealed box design which Bamberg says facilitates subwoofer integration, and it sure sounded that way to me. The tweeter is offset from the baffle centerline 10 degrees off horizontal axis (tweeters to inside) and 6 degrees below vertical axis (to account for the 6 degree back-tilt of the cabinet). Bamberg says that this configuration helps fill the center image, smoothes the monitor’s SPL response, and also raises the apparent image height. Finally, the monitor incorporates a 3-position switch. Bamberg characterizes the three positions as “airy,” “neutral,” and “distant” treble contours. I found this to be an interesting description. I usually see such switches simply state “high,” “neutral” and “low,” “plus” and “minus,” or some similar description. I’ll describe how they sounded in my system below. The powered 5 TMW stereo bass modules are quite compact, with a small (at least by my standards) footprint. The subwoofer is designed to act as a platform for the monitor, and the two units blend visually together quite well. The subwoofer module height has been set so that the elevation of each monitor’s reference axis is 1 meter above the floor. It is an active sealed box with a 26 cm (10”) front-firing woofer and two 26 cm “drone” radiators on the left and right sides. The Bamberg website has an excellent discussion of the advantages of such a design, and the sound produced by the subwoofers bore this out. The crossover point between the monitor and sub is set at 150 Hz, and there is also a discussion about why this works best with a subwoofer/monitor combination. Note: don’t be fooled by the power spec – these subwoofers filled my 29’ x 24’ room with deep, accurate and powerful bass. I received the 5 TMW’s soon after I had received the MIT Oracle MAX interconnects and digital cables. Combined with the numerous adjustments that can be made to the 5 TMW monitor and bass module, I was in audiophile tweaking heaven. I was able to make extremely fine adjustments to suit my exact tastes. Think that the monitor is too bright and unnaturally detailed? Switch the monitor from “airy” to “neutral” or “distant” and adjust the articulation setting on the Oracle MAX interconnect down a notch. Is the bass too distant and flabby? Adjust the 5 TMW bass module and adjust the Oracle MAX articulation control to a higher setting. You get the idea. Truth is, the 5 TMW is a very flexible speaker. Though they sounded very good at the standard setting suggested by Steve Fay, the fine adjustments were especially useful as I progressed through various music selections. Pieces with screechy high ends could be tamed, and overly-recessed bass could be dealt with as well. The ultimate result was a finely balanced sound that worked on all music. Bamberg recommends that the owner tweak away at the adjustments until an overall best combination of settings is arrived at. First, and coarse, passes are directed to best matching with the stereo amp used for the monitor (gain issue), then for room acoustics. Finally, fine-tuning for personal preference is last. Once I got over my tweaking binge, I settled into serious listening. The music I picked included John McGlaughlin’s Que Alegria and Mike Marshall’s Gator Strut to test the sound of acoustic and electric guitars; Shadowfax’s Pure Shadowfax to test the ability to handle delicate sounds while still maintaining bass authority and slam; Los Lobos’ Good Morning Aztlan for the ability to rock and to evaluate the crossover point; and Stuart Hamm’s Outbound, Keb Mo’s Slow Down and MichaelJackson’s Thriller to evaluate bass performance. I used my 600 wpc Electrocompaniet Nemo monoblocks to power the monitors, which I found quite amusing since I had never used them in a biamp setup to power the treble and midrange while using a much lower-powered subwoofer for the bass. Most of the front end duties were my Qsonix/Empirical Audio Pacecar combo with various DACs, while the preamp duties were either Electrocompaniet EC 4.8 or MBL 6010D. Interconnect and speaker cables were MIT, Aural Symphonics and Silent Source. Power cords were Lessloss DFPC Signatures and power conditioners were Lessloss Firewalls. I won’t say “giant-killer,” because I’ve learned to reserve such accolades for truly extraordinary products that are available at ridiculously low prices. However, I will say that, given appropriate electronics and cables, the 5 TMWs will give any set of acclaimed under-$25,000 speakers a run for their money. Given that they can be purchased at just a few retail stores for $16,500, and directly from Bamberg for considerably less, they can definitely be called a great value. Given further that the price includes powered bass, they can be referred to as a major bargain. Let me start with the bass. Quite frankly, I was skeptical after seeing the power ratings on the built-in amp. However, within 2 minutes of playing music my doubts were erased. The 5 TMW produced what was easily amongst the best bass reproduction I have heard in my room, and I’ve heard a lot of top-tier speakers and subwoofers. The balance between definition and weight was ideal. I would go so far as to say that for real-world rooms, the bass of the 5 TMW is in the top tier of all speakers. Let me expound on this a bit. My listening room is not huge, but still substantial, being just a few inches shy of 24’ by 30’. My system is set up horizontally, not vertically; that is, the speakers do not project down the length of the room but across the width of it. This has created some challenges when setting up my B&W Nautilus 800Ds, the principal of which is that the room configuration combined with the 800D’s bass alignment creates some significant booms and nulls and requires extremely careful placement. In contrast, setting up the 5 TMWs was a snap. Not only are they much lighter than the 800D’s and much easier to position, but the two side-firing drone radiators on each woofer did a great job of smoothing out my room modes. I was able to find multiple positions where the bass sounded great before even making any adjustments to the crossovers, phase or relative volume of the woofers. In my experience, setup for optimal bass is very tricky, and any speaker that can make the process easier has a big advantage. The ease of setup also translated into great bass. “Billie Jean” on Michael Jackson’s Thriller has a pulsating bass line that on many speakers can be reduced to an incomprehensible grunt. With the 5 TMW the nuances of the bass line could be easily distinguished, but the weight and grind of the bass were still maintained. Stuart Hamm’s “Castro Hustle” demands both speed and extension to be correct, and the 5 TMW had no difficulty in providing them. Keb Mo’s “Everything I Need” and “A Better Man”both feature subterranean bass that can become merely an underlying groan on lesser systems, but the 5 TMW’s rendition was among the best I’ve heard. Moving on to the treble and midrange, I experimented with the three settings on the monitor and found that I preferred “neutral” or “distant” with highly resolving equipment. The treble extension was excellent, with the sense that the speaker could continue ad infinitum if only my ears could follow. The integration with the bass module was impeccable, with absolutely seamless performance at the crossover points. For example, the title song on Los Lobos’ Good Morning Aztlan has several instruments that cluster around the upper bass/lower midrange, and that can sound like an indistinguishable mess with poor speakers. The 5 TMW did an excellent job sorting these out. This tune was also a good test to determine how loud the 5 TMW can play without breaking up; my ears gave up before the speakers did. I assume that eventually the 5 TMWs would have given out, but I didn’t see any point in getting ridiculous. The guitars in John McGlaughlin’s “Que Alegria” and Mike Marshall’s “Gator Strut” sounded very realistic and immediate with a highly resolving but natural sound. The upper registers of some piano sounded a bit aggressive with the “airy” setting, but adjusting the monitor to “distant” took care of the issue. Playing Shadowfax’s “Shadowdance”and“New Electric India”showed that the 5 TMW could do an excellent job in reproducing the nuances of delicate sounds as well as the nuances of electric instruments. Soundstaging was quite good, with very good width and depth and really excellent separation of the performers. Both center images and the images of performers out on the wings were quite strong, and lent themselves to a sense of realism. The “empty” space between performers was often huge, making performer placement one of the 5 TMW’s strengths. So What Are the Shortcomings? The second thing has to do with the expansiveness of its presentation. It is often a challenge for speakers that have a wide and deep soundstage and big performer separation to sound holistic. At the time of my review I had two speakers on hand which excel at presenting the whole while still allowing the listener to hear individual performers – my B&W 800D and Dynaudio Confidence C4. Both of these speakers cost a lot more than the 5 TMW and come from very highly regarded companies that have been around a long time. Both of them have wide and deep soundstages and good performer placement. They also simultaneously knock the ball out of the park in their presentation of the overall performance. The 5 TMW isn’t bad at presenting the whole – in fact it’s actually quite good – but it doesn’t quite reach the top tier of speakers in this regard. It’s a no-brainer to recommend that you try to listen to these speakers before you buy anything in the $10,000 to $20,000 range. They are a snap to set up, and will sound great in virtually any room that is not 40 x 40 or bigger. 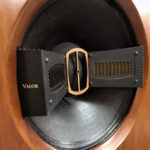 Their extension at both ends of the spectrum are very good, with especially the bass being world-class, giving you real-world extension down to 20Hz. They allow for extensive adjustments to account for the room and your taste. 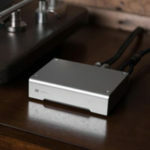 They incorporate a powered woofer that is really a subwoofer and which appears capable of mating well with virtually any kind of electronics for the mids and treble. Definitely recommended. As the designer I believe it is my duty to deliver a seamless crossover not only between the midrange and tweeter, but between the midrange and woofer as well. 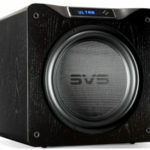 Although the Series 5 speaker is a hybrid active/passive system, the lower crossover sums just as flat and is just as phase coherent as the upper crossover. Because of this, the stereo subwoofers are truly an integral part of the whole speaker. Typically, the owner only needs to adjust the bass amp level control to properly match the gain of his main amplifier. However, there are a couple other controls that make for even finer EQ adjustments to the bass. Stereo subs when located symmetrical across the room centerline will lead to cancelation of all even room modes. Typically one primary odd order mode is left, and that is what the bass parametric EQ control is used for. I also found after much experience, that setting the lower crossover at 150Hz has a few technical advantages, and I believe Ed discovered those with his ears. One such advantage is that the monitor bass roll off is no longer susceptible to room location, which would otherwise de-tune its phase response with the subwoofer. As for a big holographic image, I found that this takes considerable experimentation with floor placement of both speakers and listener. At RMAF and AKfest, I was able to achieve this with great success, but only after a few hours of fiddling. Often Sunday afternoon is the best sound of the weekend because of this very phenomenon! I’m very glad that Ed was able to achieve good sound without too much trouble, and from our speaker system that seems a bit complicated only in the very beginning.